Day 2 of ICAD Index-Card-A-Day. 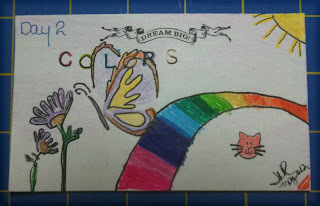 If your are feeling creative, check out Tammy's blog here. You can join in anytime during the month of June - July 31. Creat on a 3x5 index card. What a Challenge! Check out the rest of ICAD photos on flicker. Yesterday, after I settled in, I checked my mail box and what was waiting for me? 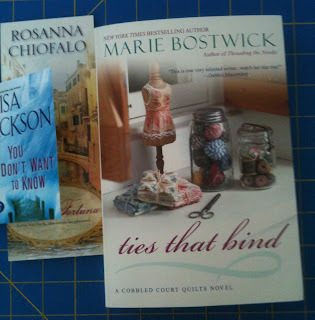 Marie Bostwick "ties that bind" book. 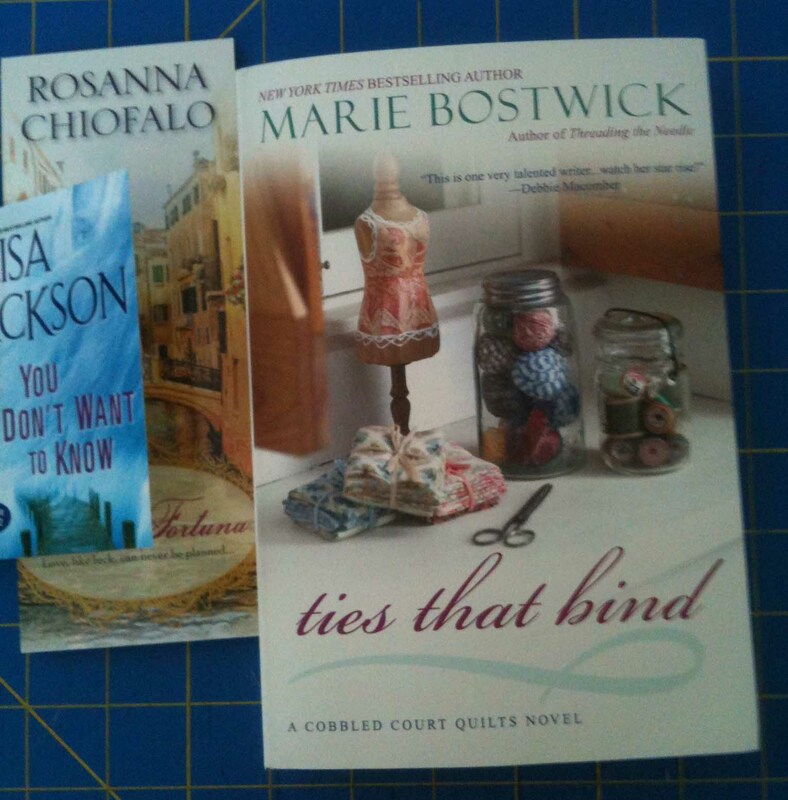 I won from Michele Foster's blog hop tour she was hosting over at Quilting Gallery. I look forward to reading her book. Well it is late and I am in the process of re-arranging my office. Seems like nothing was touch. But I did move a cabinet and went through a tote full of goodies. Have a wonderful late evening.